Golaem announces Golaem 6, giving Crowd TDs more accesses under the hood of the simulation engine. They can now customize the way characters perceive and react to their environment, giving them custom Artificial Intelligence capabilities. Other additions include an Emit/Kill behavior, a behavior for Traffic Simulation as well as some improvements on the acclaimed Golaem Layout Tool. Characters perception is now totally customizable and enables to choose which other characters or obstacles are taken into account. 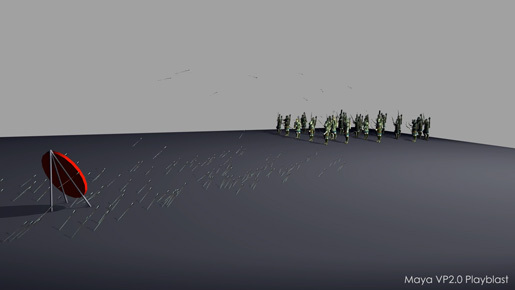 For example soldiers can now feel that the soldiers in front of them are moving forward and start walking to follow them. On the other hand, they will ignore the cavalry soldiers around. Building on the new perception abilities, character’s behaviors can be totally customized by using low level building blocks called Channel Operators. Around 100 channels (e.g position, speed, distance to target…) can be used to feed a graph of operators outputting a new character speed and orientation or controlling its animation. 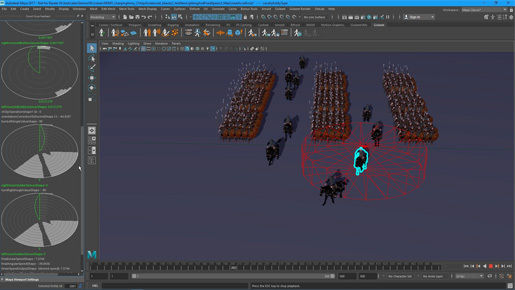 It is now possible to create custom hide, seek, flank… behaviors and let characters find their own way into the scene. 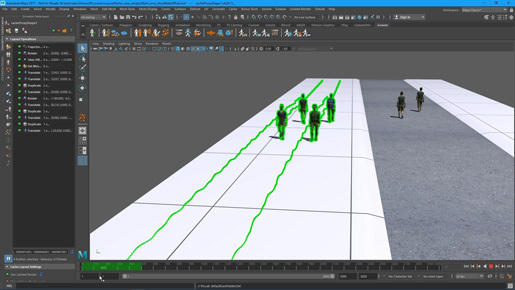 More realism can be added into scenes simply by enhancing the character’s logic, for example getting characters to do a shoulder motion when crossing another one. Transitions between motions can now be precisely controlled. Users can now customize the starting point and duration of a transition. The user-friendly Transition Editor displays the compatibility between each motions at a given time to make setup easier, and includes an automatic assistant. 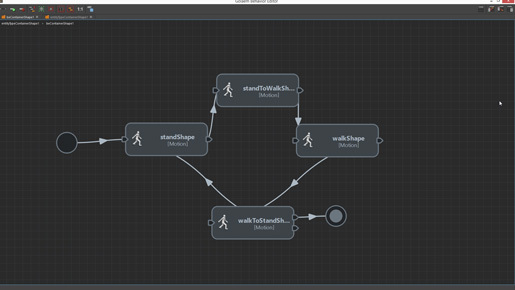 These new transition makes it possible to build state machines with in-between motion transitions like walk -> walk-to-run -> run for an even better animation quality. Characters (or arrows, cannonballs…) can now be emitted from a Golaem Placement Tool or relatively to another character. This is very handy for shooting arrows, creating fragmenting munitions or emitting people from buildings exits. A new Master/Slave mode enables to make them sticky (like arrows on a shield for example). 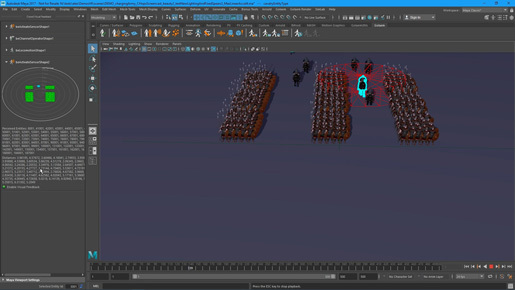 It is also possible to remove characters from simulation when they are out of view or not needed anymore. There is no good city landscape shot without hundreds of cars driving around. 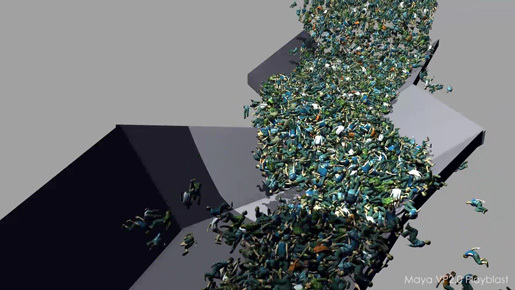 The new Traffic Behavior enables to create populated roads in minutes. 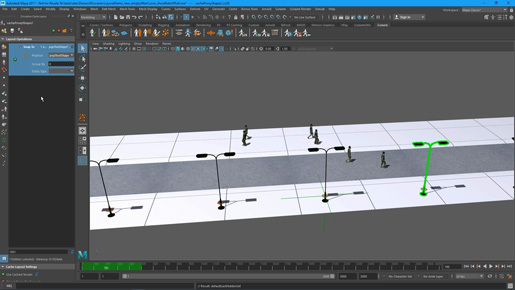 The road network can be drawn from Maya curves and Golaem will automatically create lanes and traffic lights. 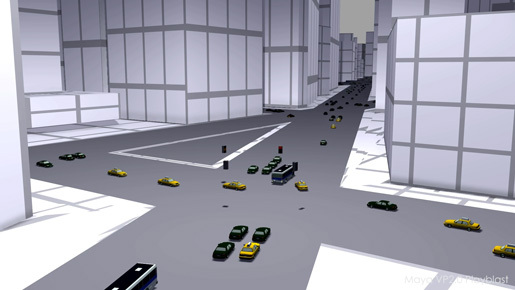 The Traffic Behavior will automatically put cars on lanes and let them wander around or reach a given target. 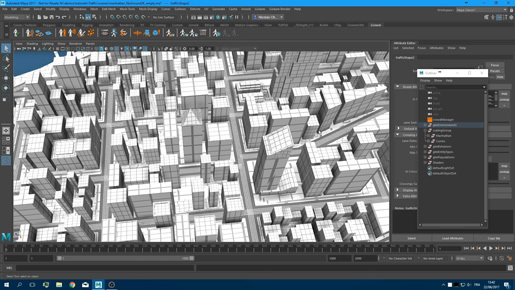 The Golaem Layout Tool is highly praised by studios as a way to efficiently retake scenes, create new ones from existing simulations or simply layout scenes. It saves lot of time in shots production and greatly simplifies the production workflow. It now includes the possibility to move characters, delete them, offset their animation, change the animation speed, edit props & shaders, and so on. A Trajectory Edition mode has also been added in order to tweak trajectories manually, or benefit from automatic avoidance when layouting several characters from scratch. Last but not least, it is now possible to snap an object or a character to a Golaem Placement Tool, which makes scattering objects around a scene even more convenient. 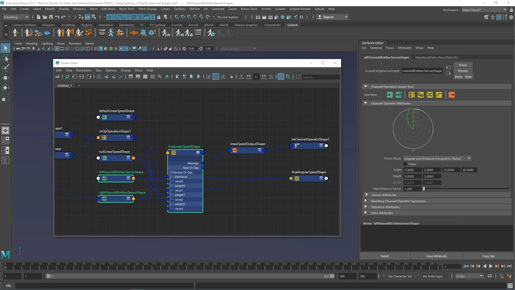 Thanks to its deep integration in Maya and an extensive set of MEL/Python commands, Golaem can be integrated in a feature film workflow with a minimal amount of pipeline development. 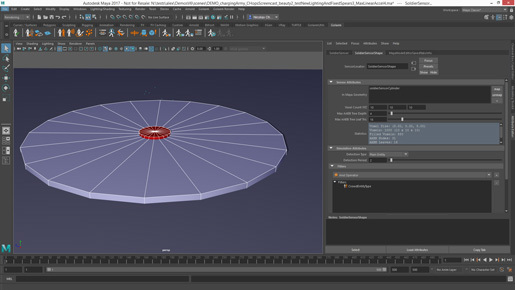 It provides advanced display capabilities in the viewport (supporting up to 16 shadowing lights and customizable via GLSL). A C/C++ (and soon Python) development kit is provided for building tools around its simulation cache format. 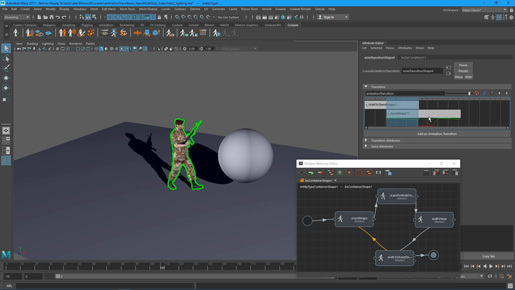 The possibilities offered by the Golaem Layout tool coupled with the site license pricing allow to make the Golaem simulations available to the whole studio, with shot production capabilities without a single line of pipeline to be written.